We all have those days where there’s so much to do, to the point where the thought of which task to start with is overwhelming. Finido ($1.99) by 92bits B.V. uses a custom algorithm created by the developers to help you complete tasks in the best order. 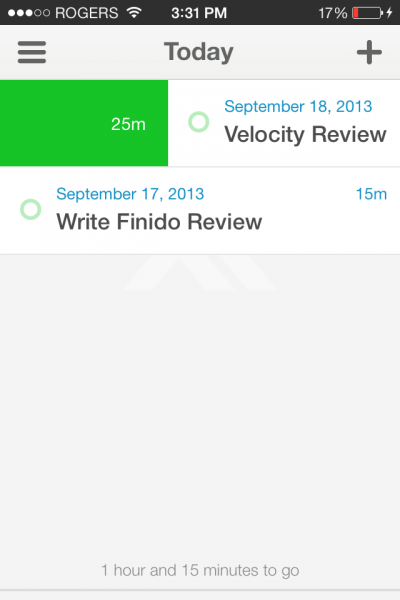 The app tries to prioritize tasks according to importance and urgency to give you the most time in between, and to prevent cramming near deadlines. This is mainly done by dividing your tasks into two lists: one consisting of those that should be completed today, and another providing an overview of all your tasks. What’s different about Finido is that its artificial intelligence will tell you to get a head start on tasks due in the near future when you’ve got some extra time. 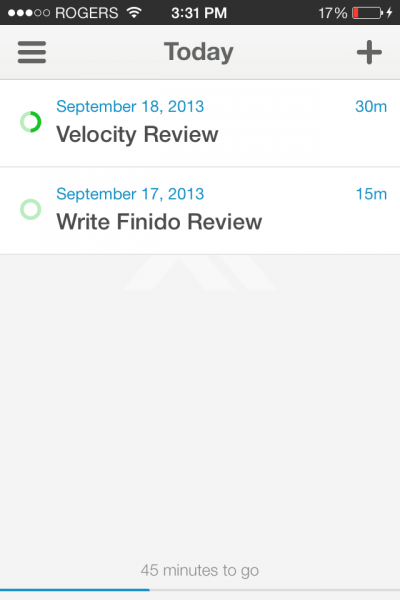 As a result, unlike other apps, Finido has a “Today” view consisting of more than tasks that are due on a specific day. This view is reserved for tasks that the app recommends you work on right now. At the bottom of this section, a progress bar will indicate how much time you need to spare to finish the remainder of the day’s tasks. When adding a new task, which is done by tapping the + button in the top right corner, you should enter a name, due date, priority, duration, and category. 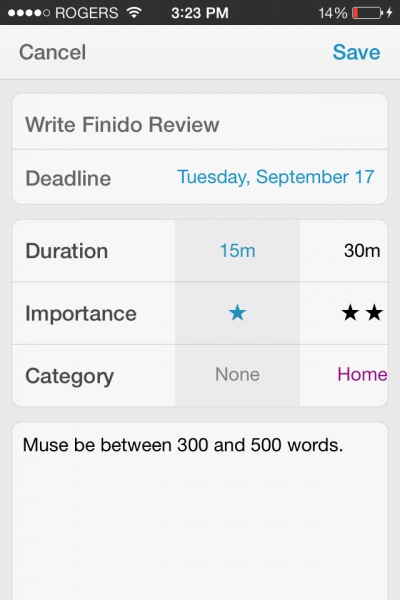 Factors like priority, due date, and duration help Finido schedule your tasks more optimally, while choosing a category will change the color indicator for the item. 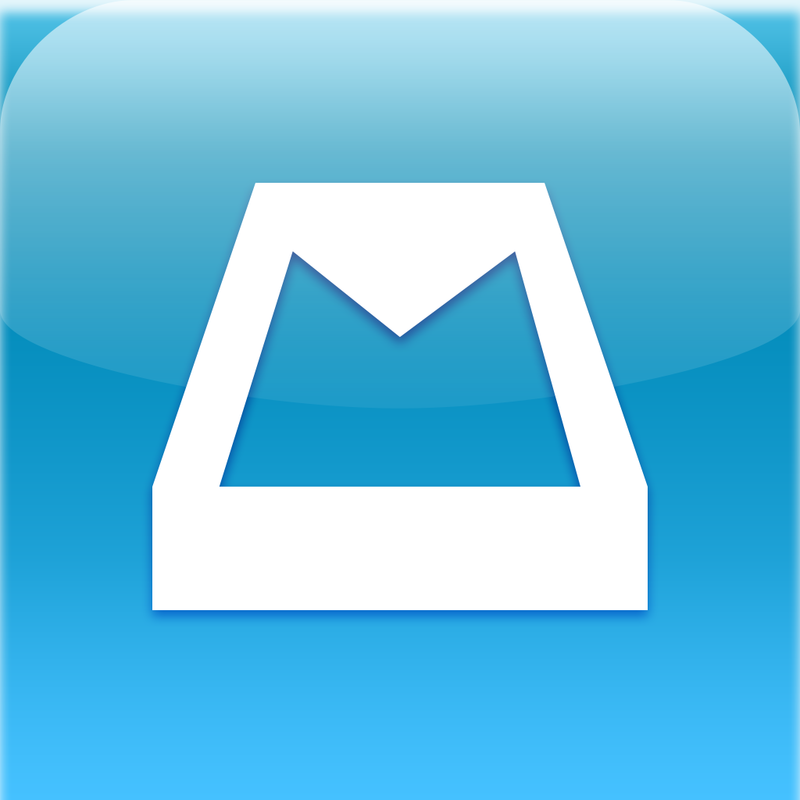 Like any good to-do app, Finido features Mailbox-like swipe gestures. 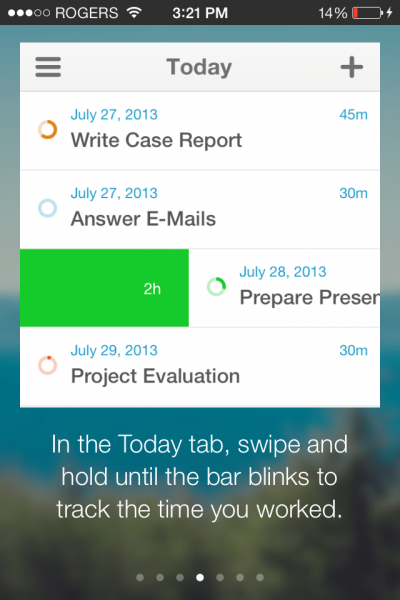 In the Today view, you can swipe right (until the bar blinks) as necessary to mark partial completion on a task. In other words, if you’ve completed half of a task that you estimated to take two hours, you can swipe to the right on it to mark one hour as complete. This will cause the color indicator to fill halfway, so you can see at a glance how much of each task is complete. Swiping to the right all the way will mark the task as complete. Although Finido’s algorithm seems like a great idea in a theoretical sense, I’m not sure how perfect it actually is. 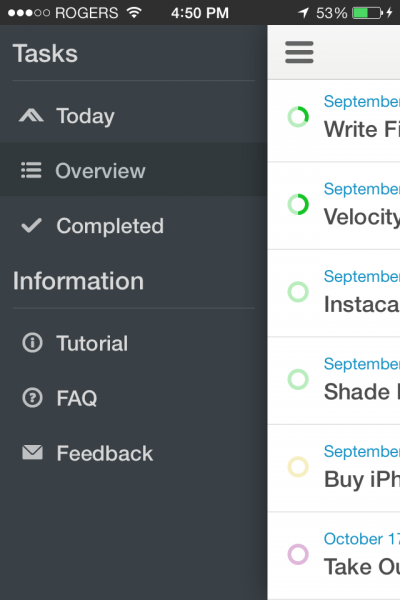 For example, in the Today section, I noticed that some tasks were displayed there instead of others of the same due date and priority. I hope that the algorithm has been tweaked to prevent time consuming tasks from popping up at the last minute. In the end, only time will tell. 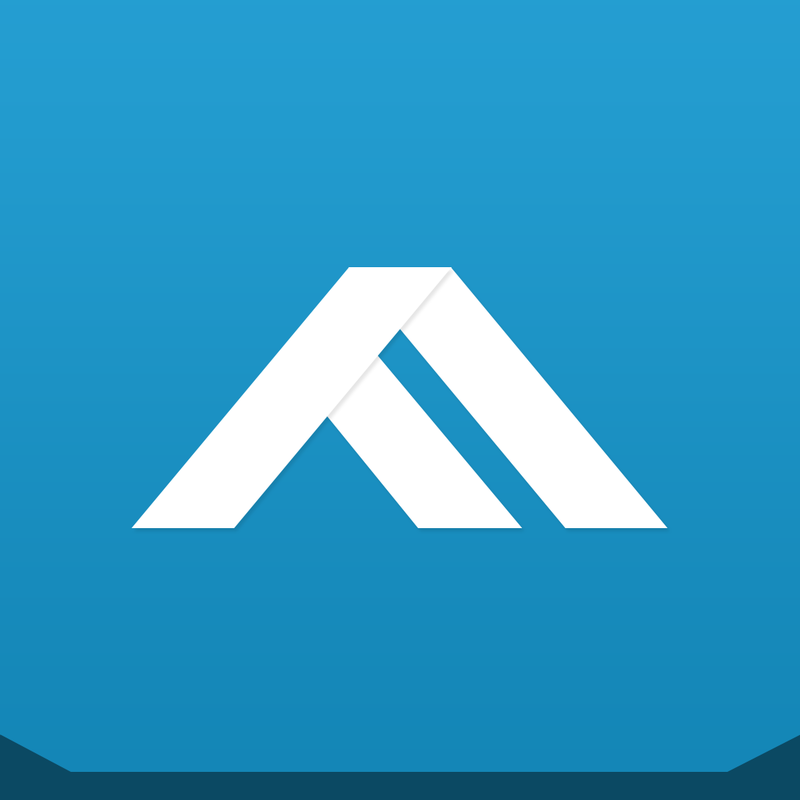 If you’re interested in taking Finido’s artificial intelligence for a spin, be sure to check it out in the App Store as a $1.99 iPhone-optimized download. 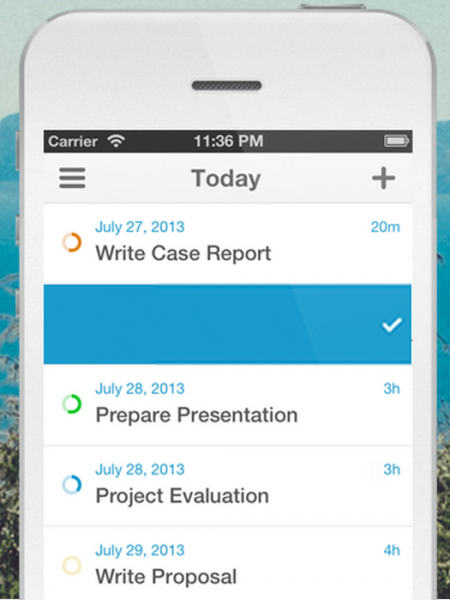 Mac and iPad versions of the app are expected to drop in early 2014.